Co-trainers Ciaron Maher and David Eustace have big race aims for juveniles Dubious and Bella Rosa, both stakes winners early in their two-year-old seasons. Dubious won the Group Three Breeders’ Plate at Randwick on debut on September 29 and the talented colt is on a path towards the Magic Millions at the Gold Coast in January. Eustace said the Golden Slipper in Sydney in March was also among the plans for the colt. Bella Rosa also netted a stakes win on debut in the Group Three Ottawa Stakes for fillies at Flemington on the undercard to the Melbourne Cup on November 6. Eustace said Bella Rosa would be aimed towards the Group One Blue Diamond at Caulfield in late February. “Dubious will run in a lead-up to the Magic Millions, and after the Magic Millions head towards the Slipper,” Eustace said. Eustace said there were options in both Sydney and Queensland for the colt’s lead-up to the $2 million Magic Millions on January 12 for which he is favourite in an early market with one corporate bookmaker. 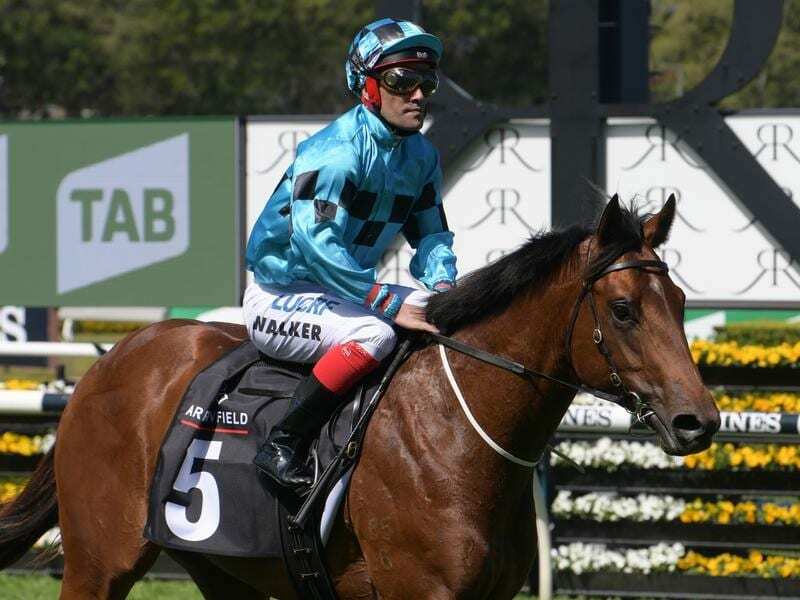 Dubious in among nominations for a Randwick 740m-barrier trial on Tuesday. While Dubious and Bella Rosa have already notched a Group race win early in the season, the two are not the only youngsters from the stable who could play a role in some of the feature races. “There’s a few more there too,” Eustace said. Eustace said Bella Rosa would probably only need one lead-up race heading into the Blue Diamond, most likely in the fillies Prelude a couple of weeks before. “She was incredibly tough on debut,” Eustace said.